Ever went to a party or a convention and got yourself a handful of lights for your keychain? And, by the time you got to the car they were all off already? Of course I’m exaggerating, but this is a main problem when it comes to these flashlights: it’s difficult to manufacture them properly on the cheap, to make them keep working and they get easily damaged. It seems that getting a flashlight, especially for everyday carry, requires special forces. This flashlight would have to be bright enough and long-lasting, and yet small enough to slip easily into your pocket. 0.1 A keychain light… what is that? A keychain light… what is that? Our pockets are bulging with our keys, notebooks, stuffed wallet receipts and all kinds of small items, useless when it comes to protecting us against stumbling in the middle of the night. A compact light source is therefore a must and you need one that shrugs off weather, is long lasting, has a sturdy construction, and preferably an LED bulb these days, for low consumption. There are many features and technical details to consider when you’re looking to get yourself a keychain flashlight. 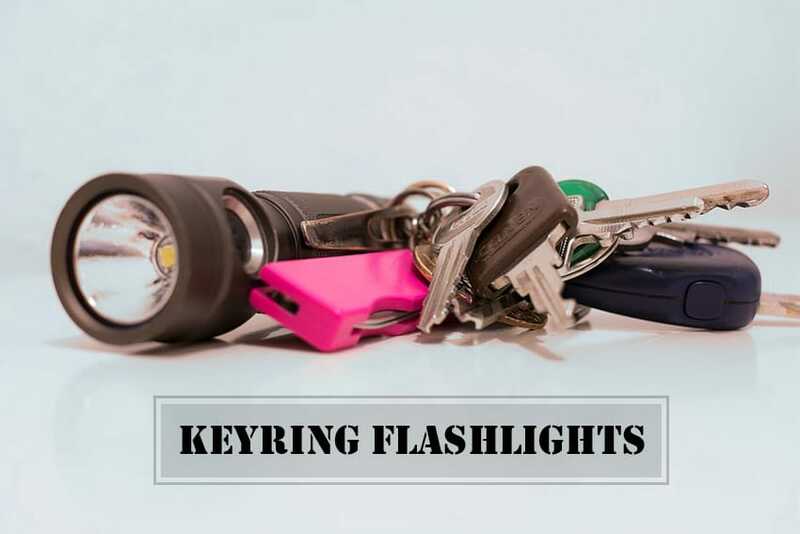 If you’re new to this, choosing the best keyring flashlight might get confusing. Some features are more obvious, like a pocket clip, battery type or output, but others are not that much. For instance, many great lights require common AA and AAA batteries, while others need lithium ion or rechargeable cells. You also need to take a look at the brightness of your light – 100 lumens is enough and anything over 400 is way too much. Beam and tint quality, run time, along with a good user interface are also important things to look for when on the lookout for the best keyring torch. When surfing for keychain light you might get lost in some technical terms like CRI, for instance. CRI is related to the light’s ability to preserve colors accurately (your skin looks different under sunlight than under a fluorescent bulb, right?). The term “tail standing” stands for the ability of the light to stand vertically just as a candle in an emergency situation by bouncing its beam off of a ceiling for diffuse illumination. After this intro, you should already be able to get a grip on the things that matter most when it comes to a good keychain flashlight. The first thing to consider is the size of the keychain light. The smaller the flashlight, the better the chances to use it all the time. The main idea is for the keyring to have a flashlight, not the other way around! The power of the light might be a tricky subject. 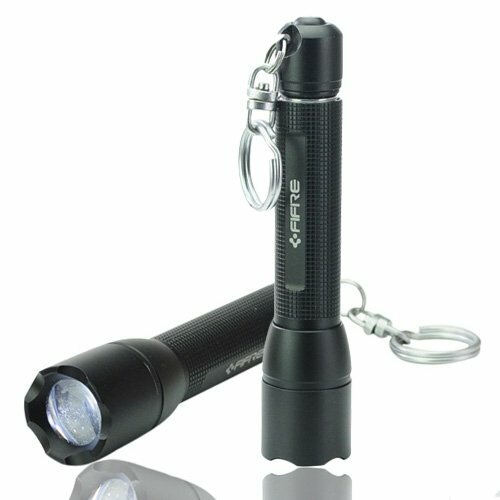 Some small keychain flashlights are too small to be of any use, but you may find some with some high lumen outputs. This makes them strong, despite their size. It’s important to get a portable flashlight that has battery that is small and long lasting at the same time. Most of the flashlights come with a watch battery or a common AA or AAA battery. Think how often you use the flashlight and how often you want to change its battery before making your purchase. Most of the time you don’t really pay attention when you throw out your keys on the table, so the flashlight may get damaged when you do that. A solid construction and a sturdy material for your keychain flashlight is therefore important as you want it to last for a long time. Take a look at your wallet when you buy a keychain flashlight. The price is important as you may find cheap flashlights that are oftentimes useless, and pricey ones that don’t actually stand up to the demand. So, stay away from these categories as much as you can. 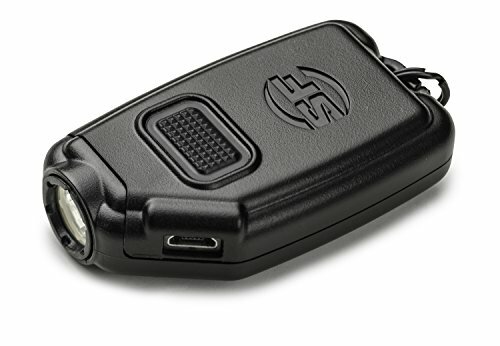 When you’re out shopping and want a small, highly efficient keyring flashlight, take a look at this SureFire Sidekick 300-Lumen Ultra-Compact Triple-Output Keychain Light. All in all, though, this is a small, compact, tough, and highly efficient keyring light that will do its job well. See the reviews and pricing on Amazon. Or check out other Surefire flashlights. Just because you’re out to get a keychain light, it doesn’t mean you can’t get pampered and feel special when getting it. 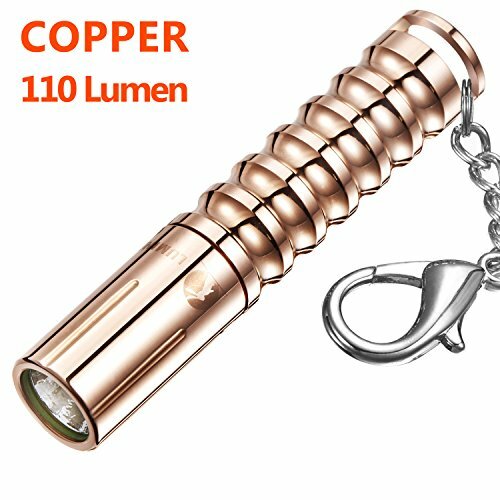 Your new keychain light could come beautifully wrapped, in a luxurious jewelry box with the LUMINTOP WORM Copper AAA Mini Flashlight. But, despite this, we still like and find this small, compact, elegant looking flashlight a great buy anytime. See more reviews and pricing on Amazon. For those of you who like to be practical more than anything, get this Tool Logic KSLP1 Magnetic Hands-Free. But, if everything that you use screams, above all, practical, this keychain light is the right one for you. Make sure to check out the reviews and pricing on Amazon. It’s amazing how a very small keychain flashlight can pack so much power, but it’s the case for the LED Lenser – M3R Rechargeable Keychain Flashlight. There is only one thing we really don’t like about it… the price. But, all in all, it’s definitely worth every single penny. As always, make sure to check out the reviews and pricing on Amazon. When you want the best keychain flashlight that uses AAA battery, give it a go with the FiFire A17 48 Lumens Retractable Mini Focus-adjustable Flashlight with Keychain. It’s a shame that this comes only in black. Also, this sits on the high price end, but it’s a good buy either way. 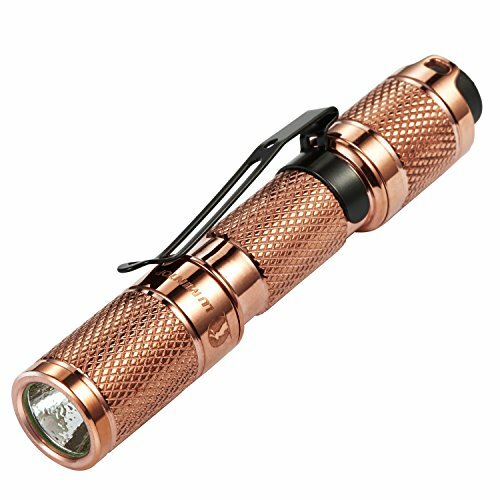 Let’s assume you haven’t decided yet which keychain flashlight to get (although all the lights we reviewed above are LED), and you really want a LED light that gets you through the night… Try this LUMINTOP Tool AAA Small Brightest Copper Keychain Flashlight Pocket Size with Reversible Clip that meets many of the likings of the customers. There are some minor things we’re not very fond of on this flashlight. 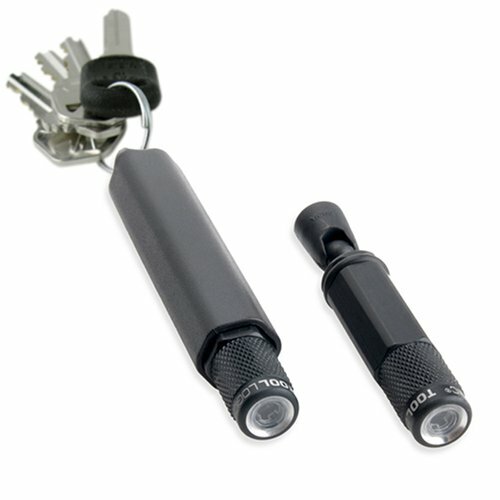 But, all in all, we still like this elegant, well-made keychain flashlight very much. It comes in a gift packaging like a jewelry box with stainless reversible clip and quality keychain.